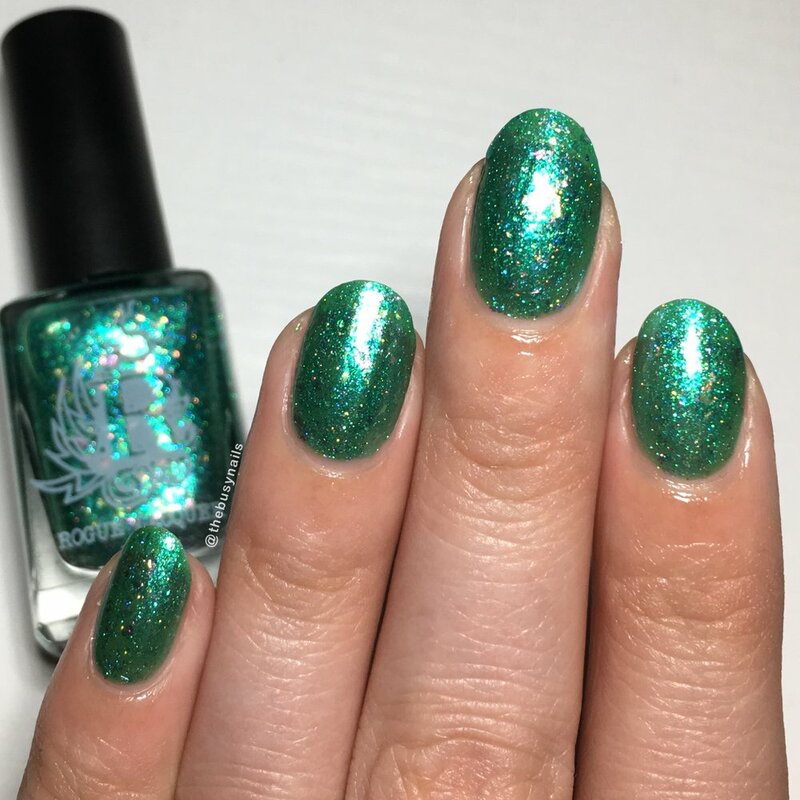 Today I have the flakie-filled Sirens of Summer trio from Rogue Lacquer to share with you all. These mermaid-inspired nail polishes are packed with all sorts of sparkly things! These debuted at Indie Expo 2018 and are now available on the Rogue Lacquer website for $11 each or 3 for $30. All photos in this post are taken under artificial light. All are topped with Glisten & Glow HK Girl topcoat. These polishes were provided for my honest review. Formula: Good formula. Very easy to work with. No need to fish for flakies or glitter. Notes: This is such a gorgeous, juicy polish! It reminds me of sparkly watermelon and it's perfect for summer. At two coats, it has more of a jelly look, but I preferred it at 3 for more opacity. Formula: Good formula again, but a little thinner than Shell Yea. No issues, just don't overload your brush. Notes: This is my personal favorite. I thought it would be the coral, but the contrast of shimmer against the vibrant base is just too good. Formula: Good formula again, but the thinnest of the three. Easy to work with, but don't overload your brush. Notes: As you can see, this was the sheerest on me with pretty obvious VNL after three coats. If you don't prefer that look, I think this would look great in one coat over a complimentary green base. Which mermaid-inspired polish is your favorite? I'm loving Beach I'm a Mermaid, but Shell Yea is a very close second. I'm not sure how long these will be around, so be sure to grab yours from the Rogue Lacquer website.